Jack Butala: Welcome to our show today. In this episode, Jill and I talk about how we’re light years ahead of house rehabbers. First before we get into it, let’s take a question posted by one of our members on LandAcademy.com, online community. It’s free. Jack Butala: Okay. Jill knows this. These are my favorite kind of questions. Jack Butala: They’re data driven questions that … And there’s a solution. So let’s deconstruct this and I’ll try to be not boring and brief. Jill DeWit: Okay. If I fall asleep, you know you lost a lot of people. Jack Butala: Don’t fall backwards here, okay? Jill DeWit: Okay then I won’t fall backwards. Jack Butala: ‘Cause we’re both going to go swimming today. Jack Butala: If the audio quality isn’t up to what you’re used to by the way, it’s because Jill picked a spot where we’re almost smack on the beach. Jill DeWit: And the waves are right behind us. Jack Butala: And it’s kind of nice. Jill DeWit: It’s so pretty. Jack Butala: This show is the best way to avoid work there ever was. Jack Butala: Let’s take a look at how you would and why you would sort data spatially. And what’s behind it. Zip codes for instance, in my opinion, are not a good way to … They’re not a good criteria for what we do. Zip codes are set up by the federal government for mail delivery and efficiency routes and stuff. It has nothing to do with value or property type. So great. You’re gonna to look for a sizable county. The school districts same thing. I mean it’s really like a congressional district. It’s all mapped out for a bunch other reasons that we don’t care about. What we care about is the assessor’s parcel number scheme. Out west they call it an index map. So, you can really tell where more valuable property or less valuable property based on assessor value. And we all know that’s not how we price it, right? Jack Butala: So, it’s stick with the assessor parcel number schemes. And all over the country they’re called something different. Out here it’s called an index map. So that’s how you really find lower and higher values in any given county. Jill DeWit: You know what? That’d be really cool. I just think in some timeline if you want to draw it out for these folks, but now that we have video, we can actually draw some stuff out. Jill DeWit: Exactly. But it’s so interesting ’cause we’ve done this for people. Where Jack has got up with a pen and shown an index map and shown what he’s talking about and like the 101 beginning of the APN scheme is you should price it this way. And the 103’s you should price it that way. Jack Butala: For the sake of argument, let’s say any county the scheme goes like this, 101-11-1111 like a phone number. All right. And it begins with 101. Maybe they’re the oldest properties that got subdividers or the newest. We don’t know. And then it goes to 102 then 202 and then 909 and on and on. So, those are all based on who had subdivided the property, the assessor does it that way. And so it’s, actually Jill, it brings up the great point because that’s the whole point of this. You’re looking at data the way that it’s cut up and it makes sense to value property that way. And Eric, this is a great question by the way. We’re not bustin’ your chops here. But zip codes, I’ve been down all those paths and it just doesn’t tie in. Zip codes, congressional districts, census tracts. If you look at census tracts, the federal government goes from A B C to D. Basically how good the neighborhood is. Really, I mean, it’s ironic but they do that. But that doesn’t necessarily mean property value is great. Think of Harlem. Harlem’s a very expensive property but it’s probably a descensus trap. Stick with the assessor and you’ll be fine. I think we have a whole show on that coming up. Jill DeWit: I think we do. Jack Butala: If you have a question or you wanna be on the show, how was that? Was that boring? Jill DeWit: That was great. No, you did awesome. Thank you. Jill DeWit: Keep showing. Exactly. 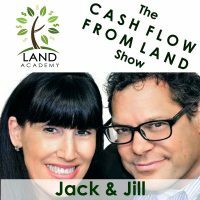 Jack Butala: If you have a question or you wanna be on the show, reach out to either one of us on LandAcademy.com. Soon to be LandInvestors.com, by the way. Today’s topic, and this is the meat of the show, why all of us land people are light years ahead of house rehabbers. If that’s not obvious. Jill’s gonna have a blast with this. Jack Butala: She’ll start it off. Let’s to talk her. Jack Butala: We’ve rehabbed houses. We’ve wholesaled houses. And we’ve purchased and sold land. Which do you prefer? Jill DeWit: Let me think. The one where I don’t have to sit there and babysit it. The one where I don’t worry about a roof leaking. The one I won’t have to let someone in and show them around. It’s land. Jack Butala: I prefer to make money, not lose it. Jack Butala: And I prefer to do it from my desk, not in dust. Jill DeWit: That’s funny. You know, I’m getting more and more photos in my Facebook feed. I’m sure you are too. With people showing before and after and rehab projects and all that good stuff and I’m like, “Oh Gosh.” For me, it just looks painful. Jack Butala: You know what I say every time I see that? Jack Butala: In the comments. Jill DeWit: What do you say? Jill DeWit: That’s a great idea. Jack Butala: I just close it. Jill DeWit: I should start doing that. Wow. How much did that delay cost? Jack Butala: I would like to think that I have a relatively larger set of kahunas. Jill DeWit: I am not commenting on that one. Oh my gosh. Jack Butala: But I see these guys buying these houses and it’s like they should be burned down. Jack Butala: And then they make them okay, I guess. Jill DeWit: Oh my goodness. I know. Jack Butala: So my hat’s off to those guys because I can’t even compete with that. Jack Butala: Have you ever lost any money. Ever. Jill DeWit: Oh gosh, not like that. No. Jill DeWit: No. You know, I don’t think … Maybe way back when … No, no. Jill DeWit: I didn’t make as much as I wanted to. I’ve done that. Jack Butala: “The whole deal?” You’re making some dough. Jill DeWit: Exactly. So what are your thoughts? Jack Butala: You know, I just think that it’s so glaringly obvious. Well, you know what? It’s not glaringly obvious. Look at the guy Dennis that we deal with in Scottsdale where we wholesale houses to him. He wants no part of data. Jack Butala: And he loves that we buy a house, mark it up 10,000 bucks, and sell it to him and then he makes, you know. He probably makes 50 to 80,000 bucks a deal. Jill DeWit: Right. Well you know what? I’m sure there’s a few rehabbers out there that were in it for different reasons. Like we have a friend who does stuff in Detroit, remember? Jill DeWit: And it’s like a charity based thing. Jack Butala: Non-profit real estate. Jack Butala: He lives in Hollywood, flies to Detroit, he’s trying to better that neighborhood, and then when he can’t stand being in that neighborhood any longer, he comes back to Hollywood. Jill DeWit: He comes right back. Yeah, he’s never there very long. Jack Butala: I’m gonna get so much email for that. Jack Butala: I can say this stuff ’cause I’m from Detroit, by the way. Jill DeWit: True. But it’s so interesting. But yeah, I know. It’s funny. We are one individual at a time. There’s several rehabbers finding us going, “Oh my gosh, thank you. I’m so glad I found you.” And we love it because they’ve seen the other side, the dark side. Jill DeWit: Exactly. Isn’t that crazy? Jack Butala: No Mike, I don’t. Jill DeWit: Right. Oh, I know. Remember you did a blog one time, and I loved it. And it was like you can turn $100,000 into 200,000 in land, double it, get out, and then with a home, a flip, you can turn 100,000 into maybe 130,000. Jack Butala: If you make 20 grand on a house flip, you’re doing everything right. That’s what I think. 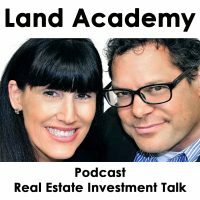 Jack Butala: If you’re a real estate agent, it’s a little bit more ’cause of fees. You don’t have to spend as much but man. By the time they get done with you. Especially if you finance it? You’re just asking for it. Jill DeWit: Well right there to me, that’s glaringly obvious. Why hit my head against the wall on something where I can maybe make 20, 30, 40 percent when … I’m serious. Jack Butala: Do you realize that sentence? Jack Butala: Like 20, 30, 40 percent is unheard of. Jill DeWit: It’s actually really great, you know. Like five percent. Jack Butala: We have people in our group who are relatively new that complain about doubling their monies. Jack Butala: He was serious too. Jack Butala: Yeah, you really have to undo a lot of things that we’ve been taught in real estate for all our lives. You know we all grow up watching our parents buy and sell their house and get a big check. Jack Butala: It’s just such a different deal. And I don’t mean the times have changed, I just mean that when you do it, it’s not your primary residence, you do it as a business, you have to really … It’s different. Maximizing price on each deal shouldn’t be your goal. Jack Butala: And most of the, in fact, all of the extremely successful people the members in our group understand that. Jill DeWit: That was a good question. Jack Butala: And we looked into a little bit, and I bought 70. Jack Butala: 70 to 80. The rest some people buy it and use it as a door stop, that just happens. And those people are weeding themselves out by the way. In fact, we could see who pulls the data and uses the tools and we’re contacting them saying, “You clearly don’t wanna do this. There’s people out there who do wanna do it. What do you say we just call it quits? Jill DeWit: [crosstalk 00:12:53] Exactly. Let’s make way for them. Jack Butala: So I don’t know. We’re probably at 50, well, it’s not quite 50 percent but probably 30, 40 percent. Jill DeWit: I think 30, 40’s a good number. That’s a pretty high number also. Jill DeWit: What is crass mean? I know what it. Jack Butala: Crass is like vulgar and just come on man. Jill DeWit: Oh yeah, yeah. Oh I haven’t heard that word in … Gosh, crass. Okay. Jack Butala: Wanna hear some more 50’s words? Jill DeWit: No. You know what? Jack Butala: You wanna hear some crass words? I’m very capable of crass words. Jill DeWit: Yes! That’s it. Jack Butala: Yeah. That’s not crass at all. Jack Butala: Yeah. Let us know. Jill DeWit: Reach out to Jack directly. Not Jill. Jack Butala: Well here’s another question then since your doing this. Jill DeWit: [crosstalk 00:13:54] And all the positive stuff reach out to Jill. Jack Butala: This is my favorite question. Jack Butala: If you guys are so good at this and it’s so profitable, well then why the hell are you in front of a camera right now instead of behind your desk doing more deals? Jill DeWit: ‘Cause this is more fun. Jack Butala: That’s not my answer, but that’s great. Jack Butala: My answer is we’re here. At LandAcademy and LandInvestors in general. We’re doing this to create business partners, right? Jack Butala: We could just not have a website at all. Jack Butala: And still do probably okay. We still eat okay. Jill DeWit: We could’ve been under the radar forever. Jack Butala: Yeah. We were for years and years. Just in the last couple years we turned the cameras on. So here’s an example. We have one guy in our group is a former commissioner for a county. And anything we wanna do in that county with him as a partner, it gets done. Are we doing anything illegal or not transparent? No. Jack Butala: But it’s just, that’s the way the world works. And if you wanna argue with that, this isn’t for you. Jill DeWit: We won’t let you in our group. ‘Cause that’s how the world works. Just kidding. Jack Butala: If you’re on a first name basis with somebody at a county, and for good reason and good standing, you’re gonna get a bunch of stuff done that maybe someone else who doesn’t have a first name basis. Jill DeWit: [crosstalk 00:15:03] Well, not even just that. He knows the process. He knows how they work. Even if it’s all legit, he just says, “I already know you need to call Bob for this and Mike for that” and whatever. Jack Butala: And he’s 30 years of experience too. Jack Butala: So I could run down of list of probably 20 people who have incredible experience in our group like that. And so we’re getting stuff done. Jack Butala: In just about anything you want. Jack Butala: Do you have any tough questions? You know what? You talk to members more than me on the phone. Jack Butala: Do they ask you real tough questions? Or could you think of some good questions that you love to answer that somebody who’s listening to this can benefit from so that you don’t have to answer it. Go ‘head. Jack Butala: ‘Cause it’s fun. I love that answer Jill. That’s perfect. Jack Butala: You’re doing it ’cause it’s fun. I’m doing it because it’s more profitable. Jack Butala: You would be lucky people to find a partner like Jill. Techy, brainy weirdos like me. We’re lucky. Jill DeWit: We’re a good team. Yup. And it was so cool because he’s listened to the show and he answered some of the questions before I even could and one of the reasons was I love seeing other people succeed. You know, I really, really do. So that’s part of it for me. You just told your whole business model to two hundred and however many and I don’t know how many, probably a hundred people by now, that we’ve told our business before we’ve formalized it. Or end here. Jill DeWit: Had a couple thousand downloads a day. Jack Butala: It’s more than that now. Jack Butala: I looked at that recently. It’s staggering. Jill DeWit: I shared with him how by the time it gets to me, there’s so much research done and everything that I don’t even have to think about it. So when you came to me and said, “I really think we should do this LandAcademy thing”, I know that you did all the math to make sure it’s not gonna mess with our business plans or our business model or our bottom line. And if anything, it has totally enhanced it in so many ways. Jack Butala: We’ve created partners. Jill DeWit: We have. And we’re all doing bigger and better deals together.